In a world where superhero movies are the heart and soul of the Hollywood box office, it’s odd when one of Marvel’s earliest comic franchises hasn’t seen any time on the big screen for nearly a decade. I’m talking about the Fantastic Four. Marvel’s “first family” hasn’t necessarily had the best luck when it comes to feature films. Go way back to 1994 when a low-budget (“$1 million” low) attempt at the franchise barely saw the light of day. In 2005, comedy-based director Tim Story was given the job to helm the first big-budget go at the property. He also returned for the 2007 sequel, Rise of the Silver Surfer. Both movies were horrendous messes and left nothing at all to be desired from the Fantastic Four. 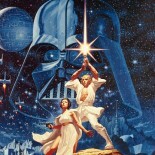 Since then, everybody has been extremely cautious about how the Four would make their eventual return to cinemas. Lo and behold, Fox soon after decided to give the franchise another go-around, and has since tapped Chronicle director Josh Trank to lead reboot, which is set for release next Summer. 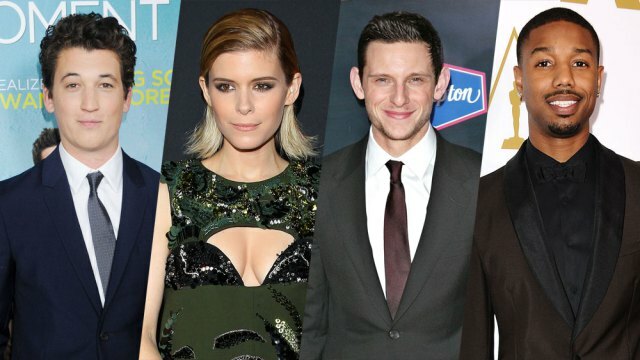 The reboot will star Miles Teller, Michael B. Jordan, Kate Mara, and Jamie Bell as younger versions of the classic characters in a retelling of the team’s origin. However, so far Trank’s attempt has received widely poor reception, even without the slightest glimpse of what the movie will actually end up looking like. Internet ignorance has been taken to new levels, though we haven’t seen a single image or set photo worth judging. Personally, I’m one of the very few people who may actually be looking forward to seeing the result of The Fantastic Four. I really enjoyed Chronicle and think that Josh Trank knows how to direct an original and captivating story. Though my opinion may land with the minority, I’m still eager to see what happens with the movie. That being said, I also have a feeling that Trank’s reboot will do poorly. Critically, it’s up in the air at this point. As far as making bank goes, so many people seem to be turned off by the project so far, and may still have a bad taste in their mouthes from the previous two films. Even though it’s still a year away, I would have to imagine The Fantastic Four opening to no more than $40 million, and ending up with $300-$350 worldwide. The odd thing is, Fox has already scheduled a sequel for July 2017; two years after the first hits theaters. So obviously the studio has some sort of hope that the movie will succeed, and that they like what they see from Trank’s creative mindset and the actors involved. But will the sequel actually happen if the first movie fails? If not, what would happen to the Fantastic Four franchise after that? 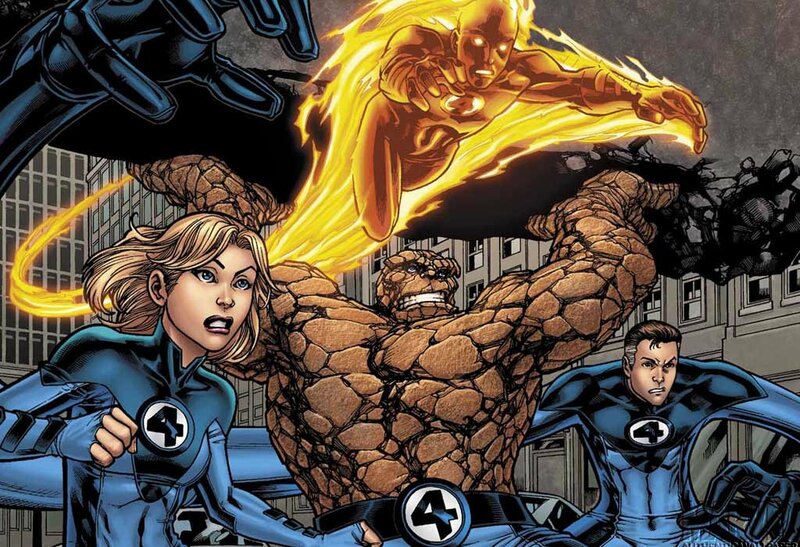 Many would suggest (read: hope) that Fox would botch the franchise and the film rights for the Fantastic Four would revert back to Marvel Studios. Recently, there have been similar cases for characters like Daredevil, who Marvel Studios is now turning a new stone with and devoting a whole Netflix mini-series to. Many would also agree that the Fantastic Four would fit perfectly into the Cinematic Universe that Marvel is building. The characters are witty and enjoyable, and some of the stories could really help the MCU expand even further. While I am looking forward to Josh Trank’s reboot next year, a big part of me also wants to see the Fantastic Four in the same world as Captain America and Iron Man (I mean come on, who doesn’t want to see Tony Stark, Bruce Banner, Henry Pym and Reed Richards as Science Bros?). I think the Thing would also make a great addition to the Marvel Studios universe and could make for some great banter or even some heartfelt moments with the Hulk. As far as storytelling goes, Marvel Studios is just now moving forward into the cosmic realms of the universe. Guardians of the Galaxy hits theaters in just a couple weeks, and will give us our first taste of what’s going on outside of Earth besides the adventures of Thor. The puppet master villain Thanos will have his first speaking role in the movie (voiced by Josh Brolin), and will ultimately lead to him being the big-baddie in Avengers 3. The entire cosmic side of Marvel is really quite fascinating, and has a lot of intense characters and stories which could benefit from being portrayed on-screen. 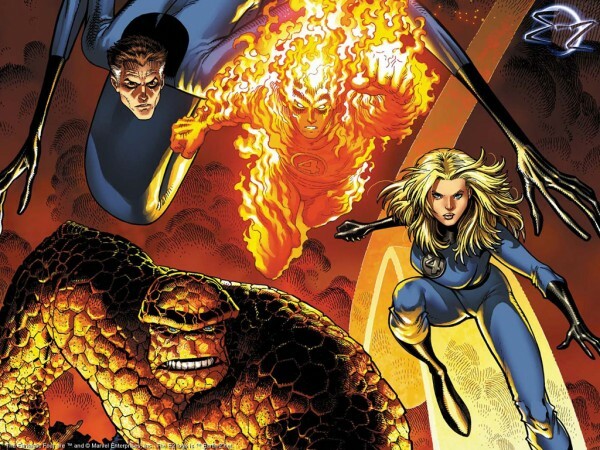 However, some of these characters are still owned by Fox since they are considered primarily Fantastic Four characters. Take Silver Surfer or Galactus; two characters who were horribly portrayed in the first two Fantastic Four movies. 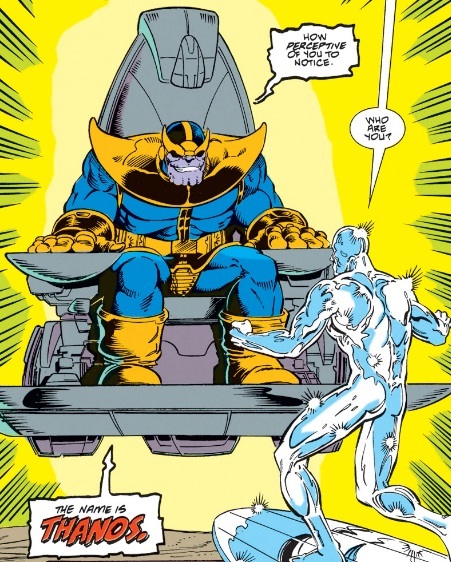 Both of them, as far as comics go, are integral parts in the story of Thanos and the Infinity Gauntlet. Without them, there is a certain aspect to the MCU that seems lost. Adam Warlock is a character who will most likely be introduced at some point (perhaps in the sequel to Guardians), though he has such a rich relationship with Galactus and Silver Surfer, that Marvel would have to rewrite a lot of the material to help him fit into their unfortunately limited universe. And while it may not be that big a deal to the average movie-going audience, it’s definitely something that fans of the source material would love to see happen. So while I don’t necessarily wish bad things to happen to Josh Trank and his reboot in 2015 and am looking forward to seeing it, I would also love to see the Fantastic Four appear in the Marvel Studios universe someday. Dr doom was goofy in the last two movies. Why do they stray so far from the source material? Well the two Tim Story movies were just plain awful, that’s just how those movies were. As for Trank’s reboot I’m not sure why they’re straying from the source material, but I’m open-minded about it. It won’t be a comedy like the original two. I think much of the hate from fans isn’t just that we have no faith that Fox will do the FF justice on the big screen, it’s the fact that Fox is denying fans the FF in the MCU. The Fantastic Four would definitely fit very well in the MCU, and as you stated, enhance it with all of the other properties it would bring. At this time, I’m not even sure that Thanos will be the main baddy in Avengers 3, but maybe there will be a separate Infinity Gauntlet movie with him as the star, maybe a two part to wrap up the first three phases. The success of Guradians is proving the the MCU can really do no wrong at this point, and fans simply have confidence in their on screen product. No reason Fox can’t come to an agreement with Disney/Marvel to fit the FF into the MCU, but greed and money is a powerful thing. No, it’ll be the biggest tragedy ever filmed. This entry was posted on July 19, 2014 by Josh the Reel Freak in Reel News and tagged Comics, Fantastic Four, Film, FOX, Franchise, Josh Trank, Marvel, Marvel Comics, Marvel Studios, Movie, The Fantastic Four.